PROGRAM UPDATE! South Jersey Gas is now offering MORE MONEY in rebates and longer financing options for a limited time... take a look at the NEW rebates and financing options below before they are gone! Taking care of an old heater is never a fun task, but sometimes it's a necessary one. For South Jersey Homeowners with a water heater or furnace that is 10 years old (or older), South Jersey Gas is offering rebates and financing options for replacing your current heater with higher efficiency equipment that will use less energy and can save you money! If you take advantage of the NEW programs now being offered by South Jersey Gas, you could be enjoying on-going energy savings and increased comfort in your energy-efficient home for as little as $42.00 a month! Step 1: Fill out the form below or call the Comfort Now Team at 609-400 -1005 to learn more about getting money saving rebates and amazing financing options for installing a new, energy-efficient system for as little as $42.00 a month! Step 7: You sit back, relax and enjoy increased comfort while saving money in your energy-efficient home! To get more information now, please complete the form below and our team will be in touch! Ready to get started now? Pick up the phone and call us at 609-400-1005 to start saving money TODAY! 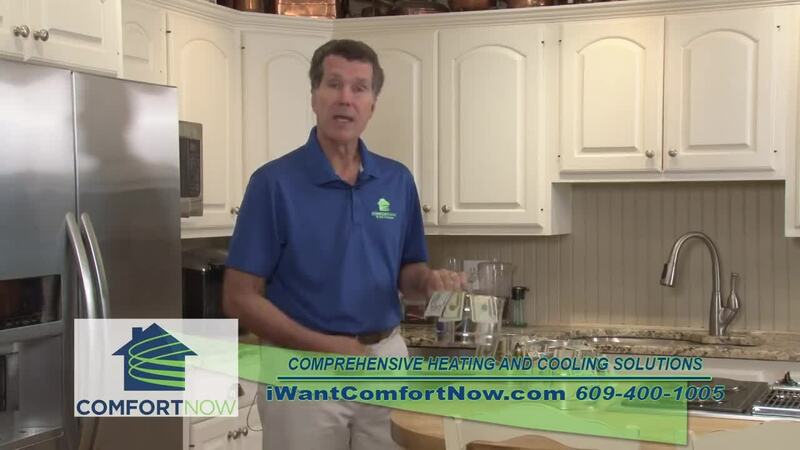 Comfort Now by Bob McAllister offers comprehensive Heating & Cooling solutions for the Atlantic and Cape May Counties of Southern New Jersey. Our team believes your comfort should always be our #1 priority!